FRESNO – Today, U.S. 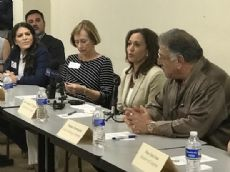 Senator D. Kamala Harris toured the Fowler Packing Company in Fresno and held an agricultural roundtable discussion. Harris heard directly from agricultural and local leaders about their priorities, including the reauthorization of the Farm Bill. 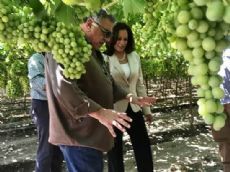 The Fowler Packing Company is one of the largest growers of fresh table grapes and citrus in the entire nation and leads the agricultural industry in the most advanced non-invasive farming practices available. The Fowler Packing Company also uses cutting-edge drip irrigation systems, eco-friendly pest management programs, and has one of the largest solar installations in California. Additionally, they offer on-site cafeterias where free meals are available to all employees, and provide a health clinic for employees and their families.